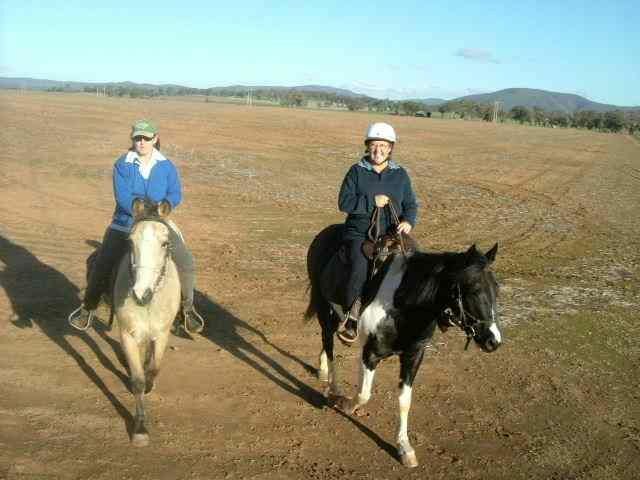 We are a local horse trail riding club that meet up once a month for a day ride or a camp over. We love meeting new people and we welcome any one to join us. 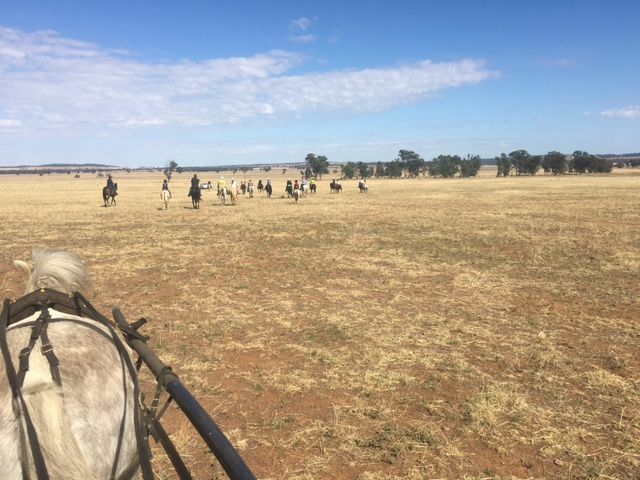 From horse to pony to cart, we welcome you all! Started in 1994 by a few families keen to ride and slowly got bigger. 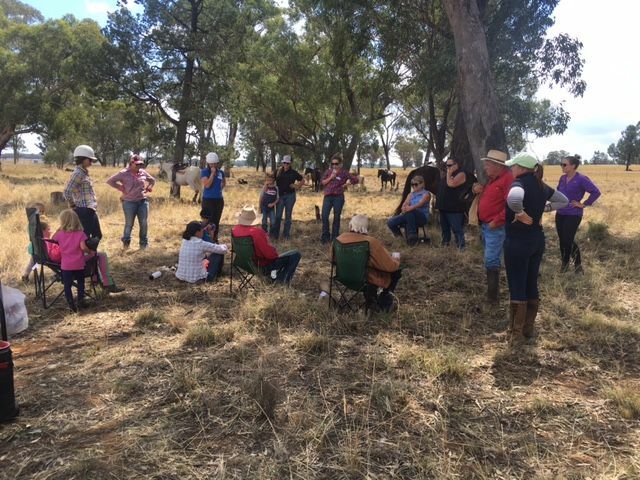 Camp over at Canowindra. Meals will be provided - More details to follow. A ride around a members property. there will be creek crossings, but will be a quiet ride due to the wet ground. Lunch provided for $5. We started in 1994 and slowly got more and more members over the years. As the founding members got older their children started to become more involved. Today some members have three generations coming along and still having a blast. Everyone brings their families along to have a great day out with friends and meet new friends. When we first started out we had the bare minimum. We would all meet with our horses at a certain spot and ride out from there. We had only limited places we could go as none of us had a horse float. 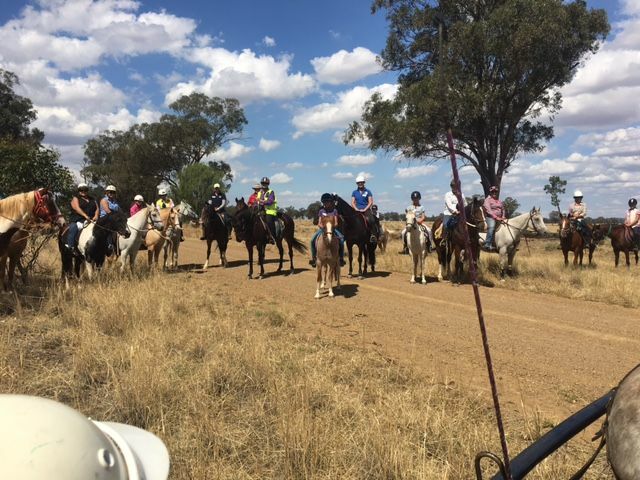 Now thats a different story - we ride anywhere from Gooloogong to the other side of Forbes, Grenfell and Cowra. We will often have lunch along the way, but don't think of a simple sandwich and some water, oh no... we eat in style. Over the years we have bought portable gas cook tops, a BBQ, a fire powered billy for a nice hot cup of tea and when we have campovers we bring along our caravan that has been fitted out as a mobile kitchen, filled with any pots, pans and utensils we need to camp comfortably and a generator for power.